Redbridge House : Abbeyfield Solent Society Ltd.
Redbridge provides residents with private accommodation, the companionship of others, excellent home cooked food by the resident housekeeper and the security and support of all Abbeyfield Solent staff. We currently have 3 vacancies - two on the ground floor and one on the first floor with en-suite facilities and kitchenette. Portsmouth is notable for being the UK’s only island city; it is mainly on Portsea Island. 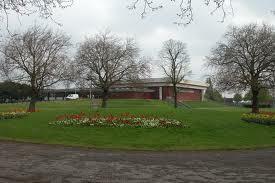 It is situated 64 miles south west from London and 19 miles south east of Southampton. As a significant naval port for centuries, Portsmouth is home to the world’s oldest dry dock still in use and also home to some famous ships including HMS Warrior, the Tudor carrack Mary Rose and Lord Nelson’s flagship HMS Victory. The naval base remains a major dockyard and base for the Royal Navy and Royal Marine Commandos whose Headquarters resides there. There is a thriving commercial ferry port serving destinations on the continent for freight and passenger traffic. 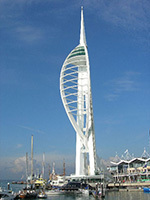 The Spinnaker Tower is a striking recent addition to the city’s skyline. It can be found in the new area of retail outlets, restaurants, clubs and bars now known as Gunwharf Quays. Redbridge House offers affordable, high quality living for people who want to be as independent and self-reliant as possible without the worry of maintaining their own home. Redbridge House provides our residents with the privacy of their own accommodation combined with the companionship of others, home cooked meals, and the security and support of dedicated house staff.